On Monday Sept 30th, Professor Gunnar Bjursell gave an introductory lecture about the emerging research field where modern neuroscience meet humanities, arts and pedagogics: The cultural brain – Brain plasticity and imprints of culture and environment. It was an overview of the cross scientific research field, and at the same time a presentation of a number of the the researchers invited to lecture at the course. 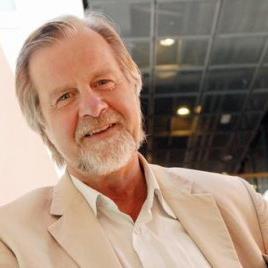 Professor Gunnar Bjursell has been a pioneer in Molecular Biology in Sweden, and is now advancing the Cross Scientific Field where Culture, Brain, Helth and Learning meet each other. ← Var sitter kreativiteten? Jazza och...järnscanner! The discussion is now open on this lecture for the participants on the ”Culture and Health”-course. It seems to be a very interesting course to follow! A field of Science which I think can give very interesting and useful results! Looking forward to learn more! hvordan kan man føre kulturell i barnehage eller i skole. Mer om hjärnan och musik … | Blogg om "The Wow Factor"